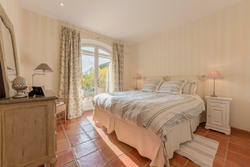 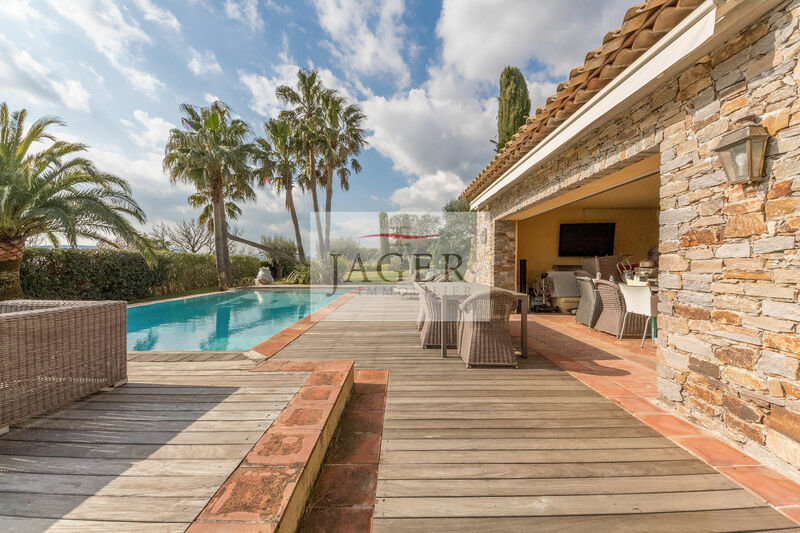 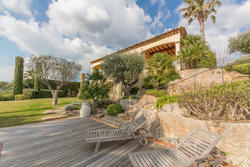 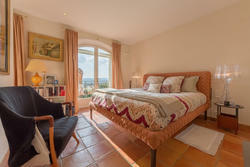 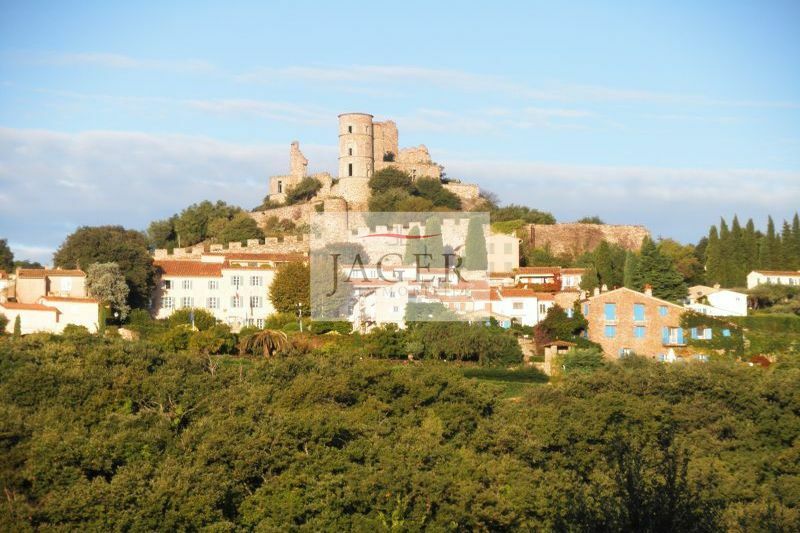 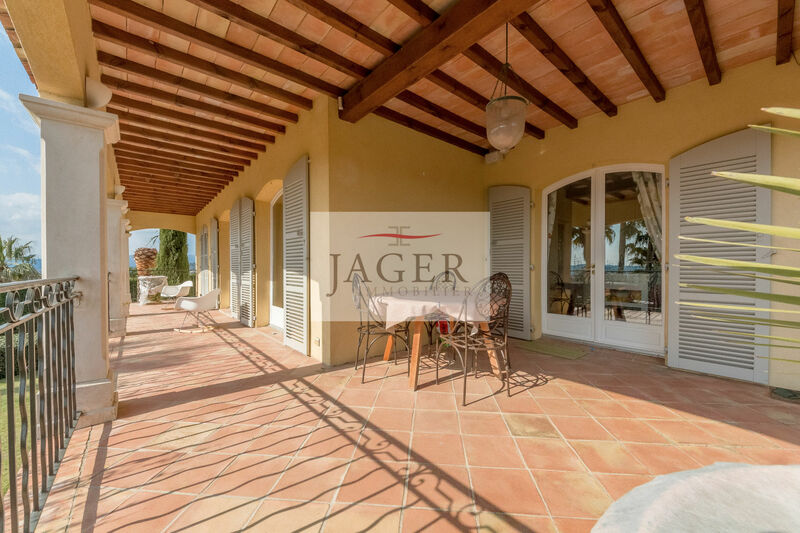 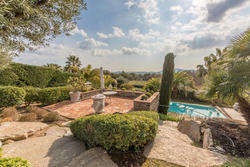 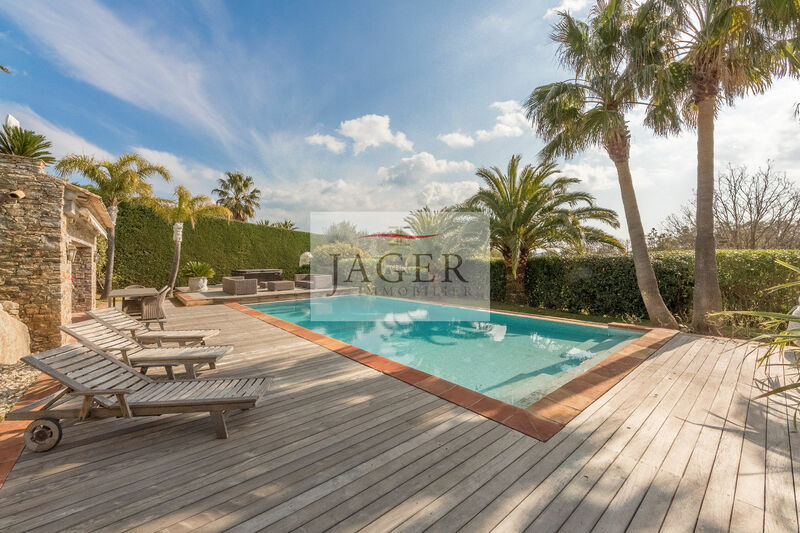 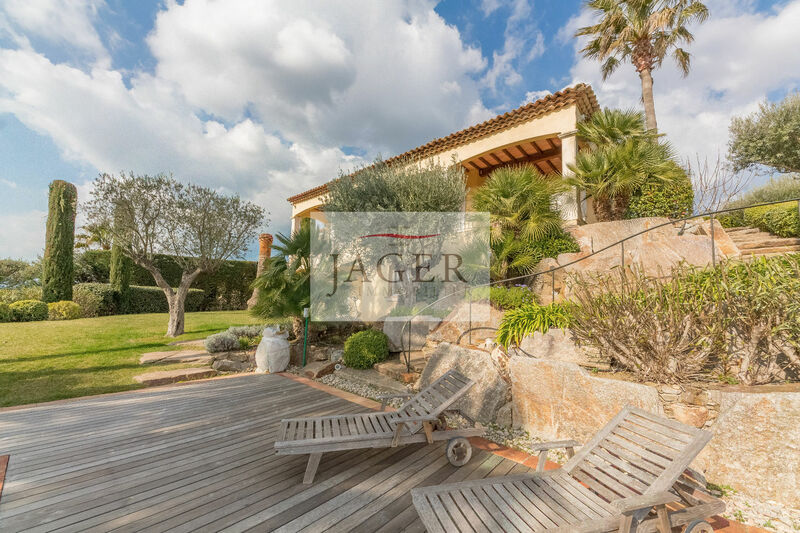 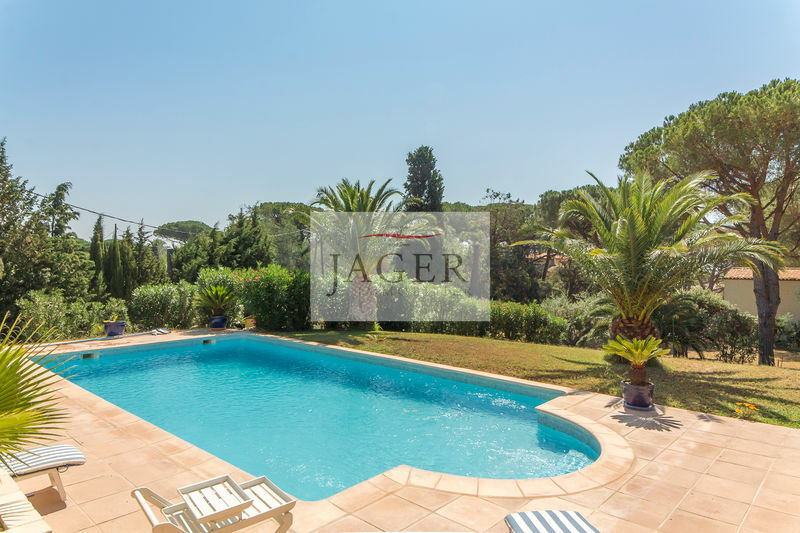 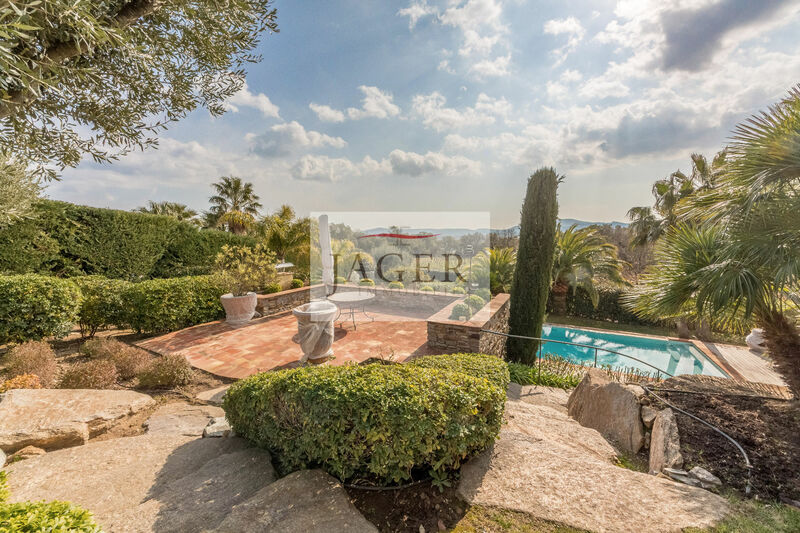 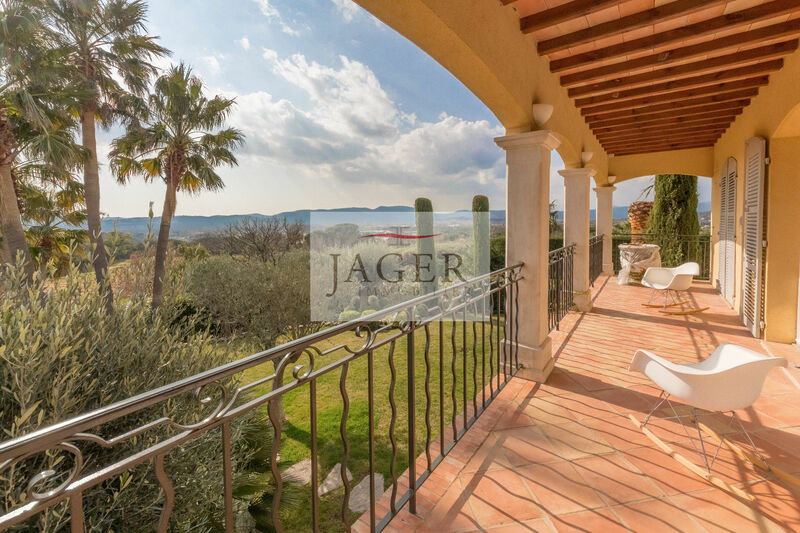 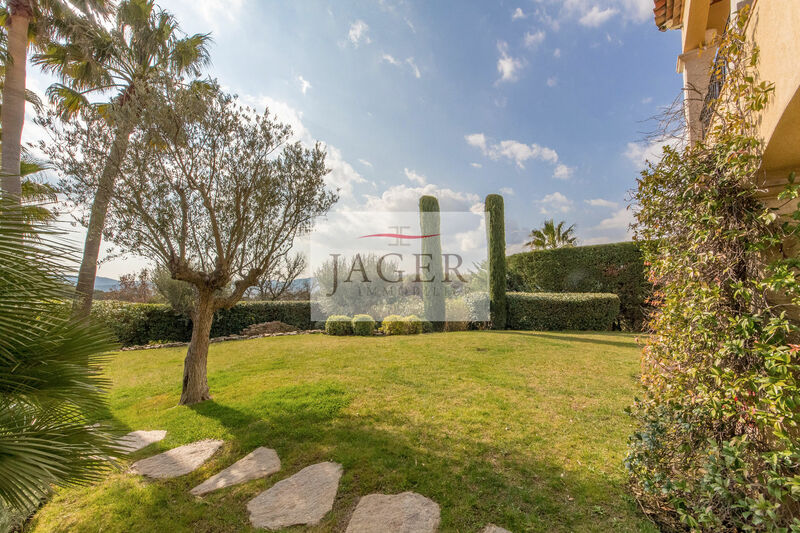 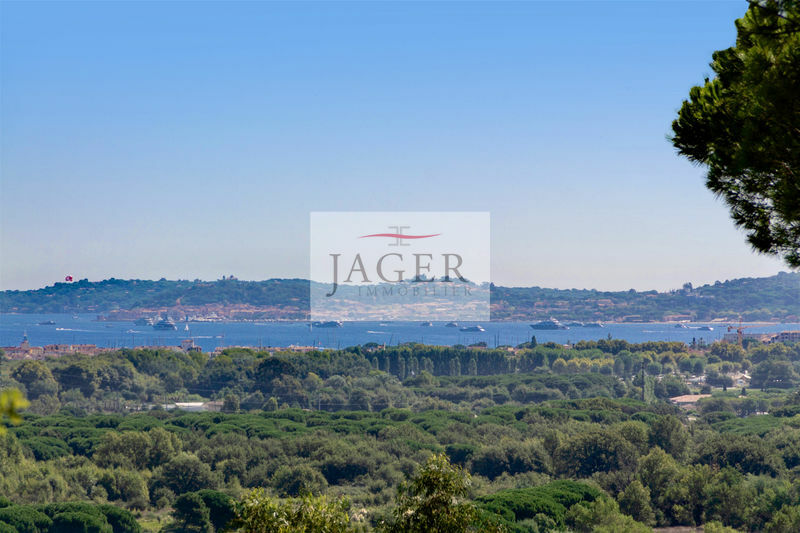 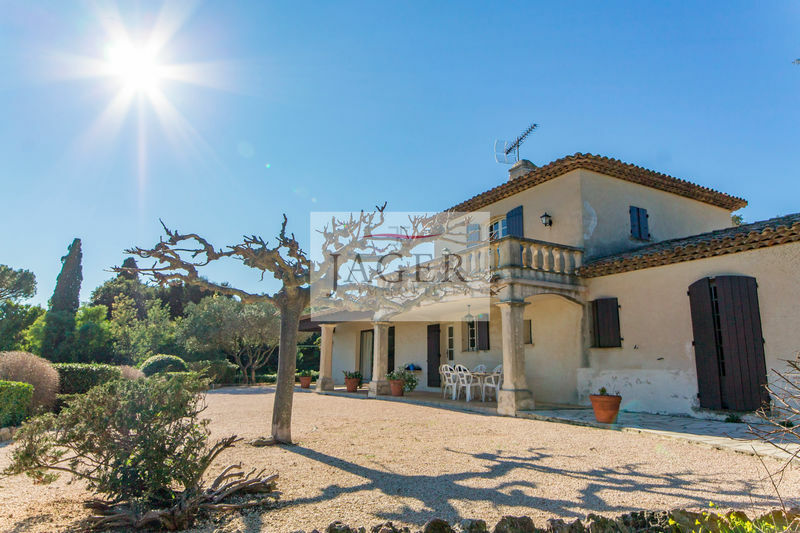 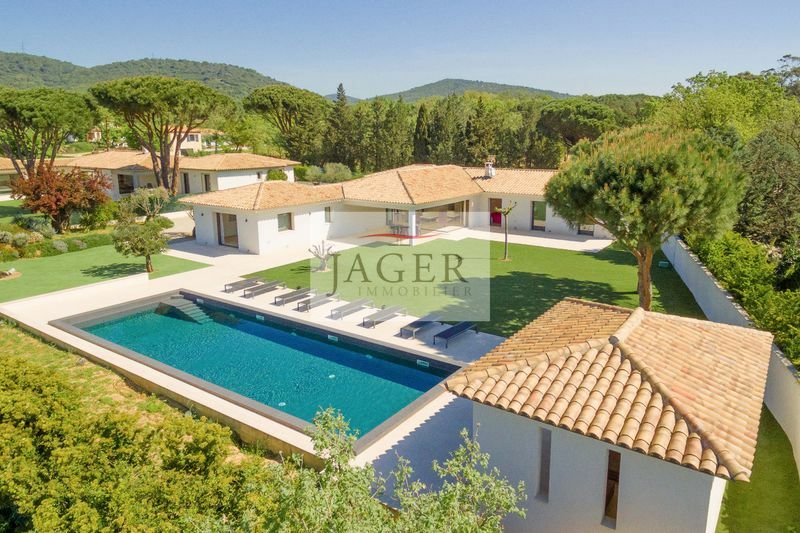 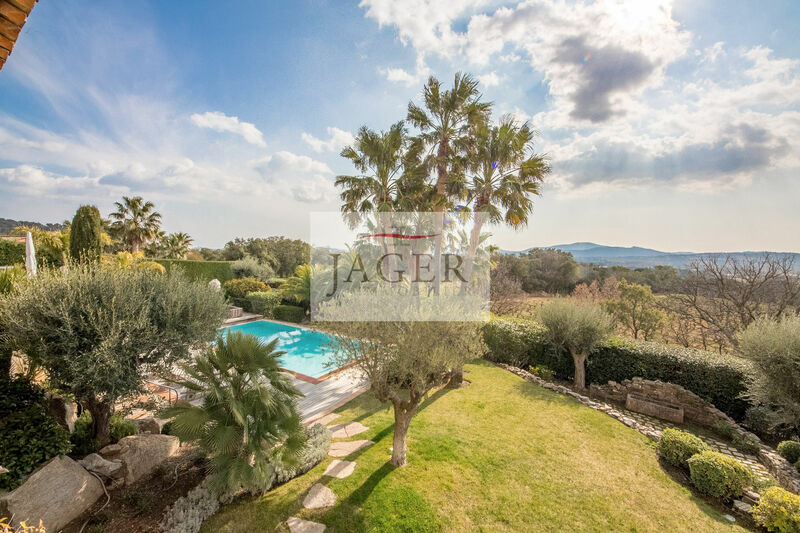 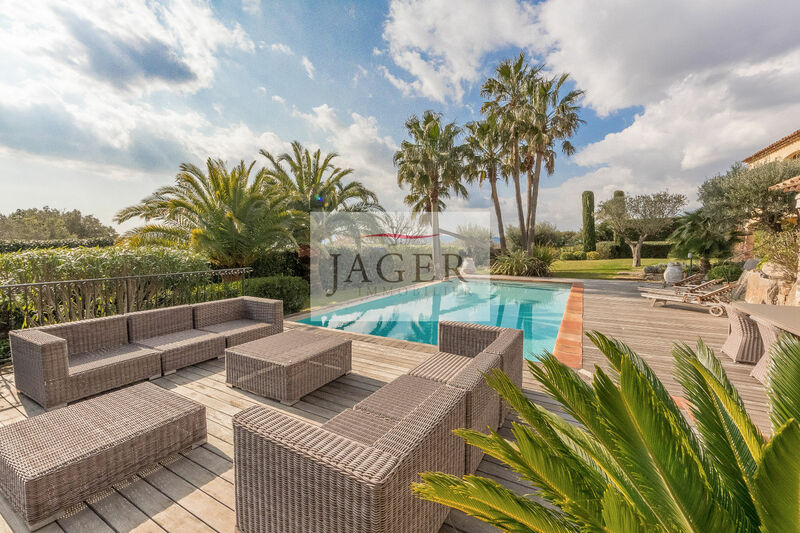 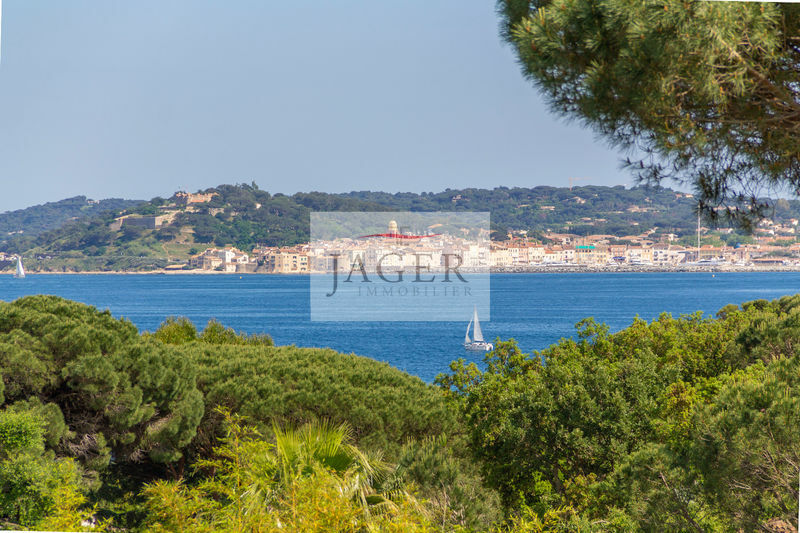 beautiful property between grimaud village and port-grimaud, in a sought-after closed domain. 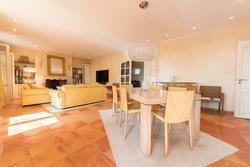 - dining room / living room with fireplace; overlooking a covered terrace. 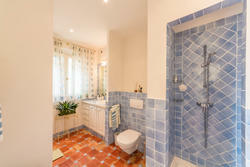 - Independant kitchen equipped with back kitchen / storeroom. 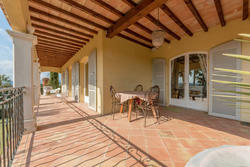 covered terrace access also.